we all know, there are tons of ways for making money online. It may be sharecash, self-hosted blog or any other url shortener like Adf.ly. Adf.ly pays bucks for each advertisement seen using your shortened link. The link viewer has to wait for 5 seconds until the advertisement loads and only after 5 seconds, he can view the actual intended page. So, I have today come up with a Adf.ly hack which helps you to bypass Adf.ly advertisement. By using this Adf.ly hack, you don't need to wait for counter to go to zero. You can simply bypass Adf.ly advertisements.I have provided the link for software download .. just read on. To bypass/hack Adf.ly, you need to have Firefox browser with Greasemonkey installed. You can install Greasemonkey firefox addon, if you haven't installed yet. 1. Go to Adf.ly Hacker script page to bypass/hack Adf.ly advertisements. 3. Now, whenever you'll click on any Adf.ly shortened link, you won't see any timer or counter of 5 seconds. The actual intended page will appear. That's it friends. This was a small hack by which you can bypass/hack Adf.ly url shortener advertisements and wait times.This hack to bypass adfly has worked perfectly for me, hope it will help you all. Found this hack working for you??? Share your reactions in comments. 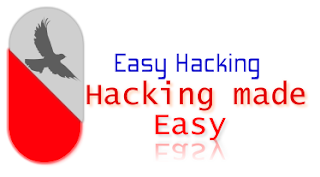 Enjoy hack to bypass Adf.ly advertisements.